This spring we’re on the hunt for the most stylish suit on the market: for motorbikers that is. Tastes in fashion and design straight from the race track for the most innovative designs in motorcycle gear. Competitive motorcyclists live for the thrill of the open road, the burst of adrenaline and the incessant need for speed. 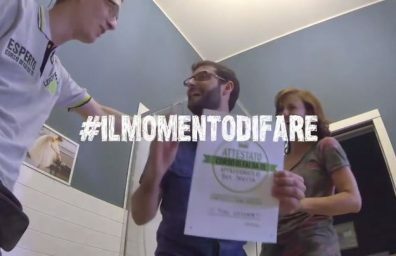 But for many, a great deal of importance is placed upon clothing and aesthetics, wearability and safety, which is why the latest suit collections by top Italian motorcycle manufacturers, are getting a stamp of approval by the pros, like Valentino Rossi. One of the sharpest suits hitting the racetrack recently is the Dainese Aero Evo C2, praised for its ergonomics and technical design. 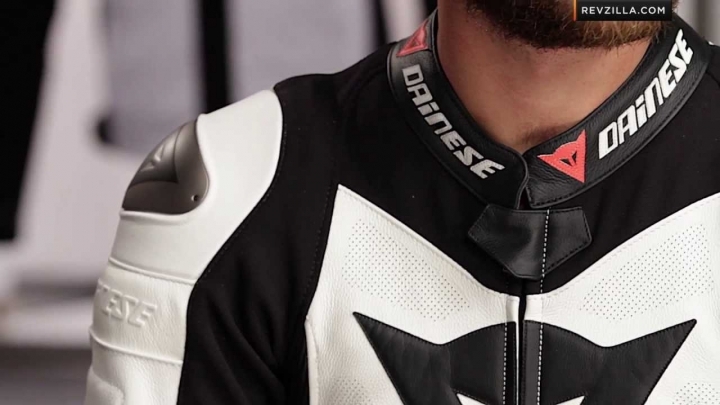 As an Italian company that began in the 1970’s by a young motorcyclist, Dainese’s designs takes inspiration from the forms of Medieval armoury, leading the way in protective motorcycle gear. The Aero Evo C2 is at the helm of this cutting edge design technology, featuring microelastic inserts that allow flex control of the suit without reducing thickness. Co-injected shoulders with aluminium inserts provide shock protection as well as aluminium inserts in the elbows and knees. In addition to revolutionary advances in safety, fabrics are a key factor both in style, comfort and protection. The Aero EVO C2 features what is called D-Skin Leather. 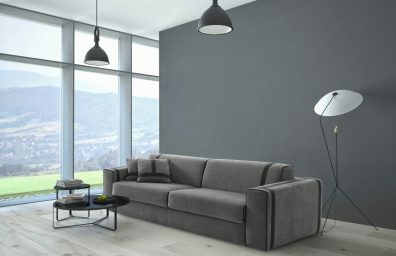 The product of extensive research, D-Skin Leather guarantees an increase in mechanical performance with high percentages of tensile strength and tear resistance. 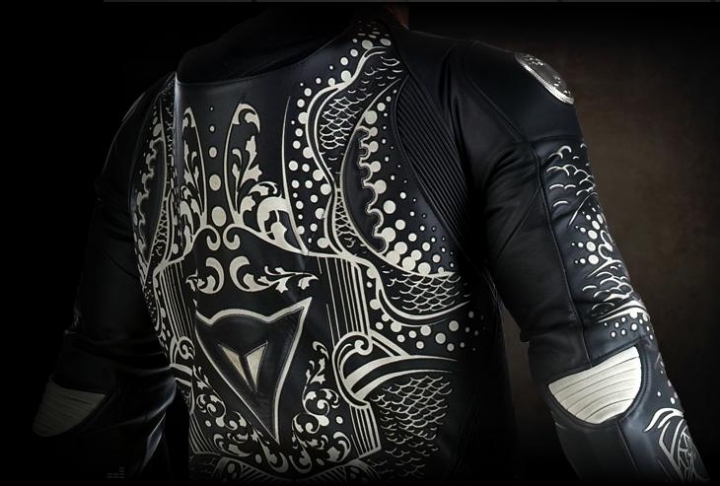 Another textile finding its way to the most cutting edge motorcycle suits is the S1 Fabric, known for its elevated mechanical strength and bi-axial elastic properties. 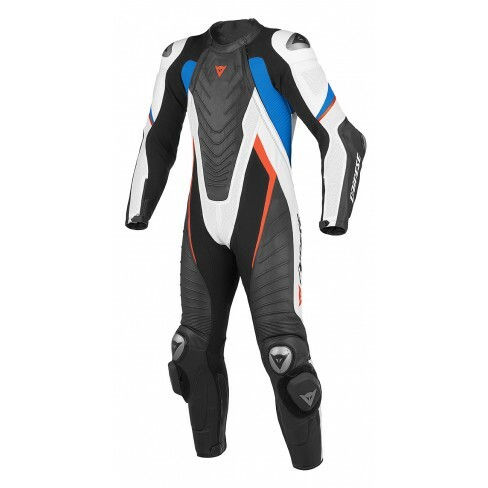 Another fabric that is the base for this season’s other winner on the track: Dainese Laguna Seca Evo suit, with a new and improved, innovative chest design. It’s no wonder Italians dominate the runway, because their brands are taking over the motorbiking world as well, becoming the top choice of motorcyclists around the globe. For top of the range sport performance, the Spidi T-2 Neck DPS Wind pro is equipped with every intricate detail. 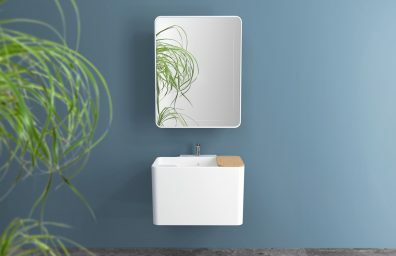 Like most designers , Spidi features a corporate showroom where their ideas are taken from the page and put into action. 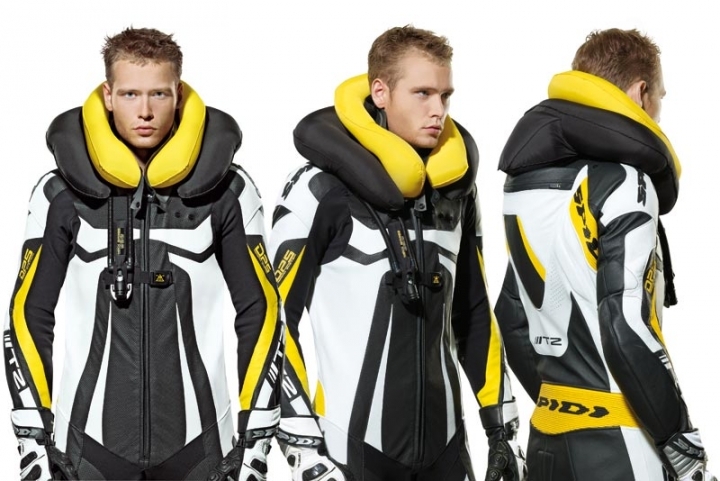 The most appealing part of this suit, however, is its built in airbag system for extra protection. Made of full grain cowhide, it is considered among the best quality and most breathable leather that you can buy. 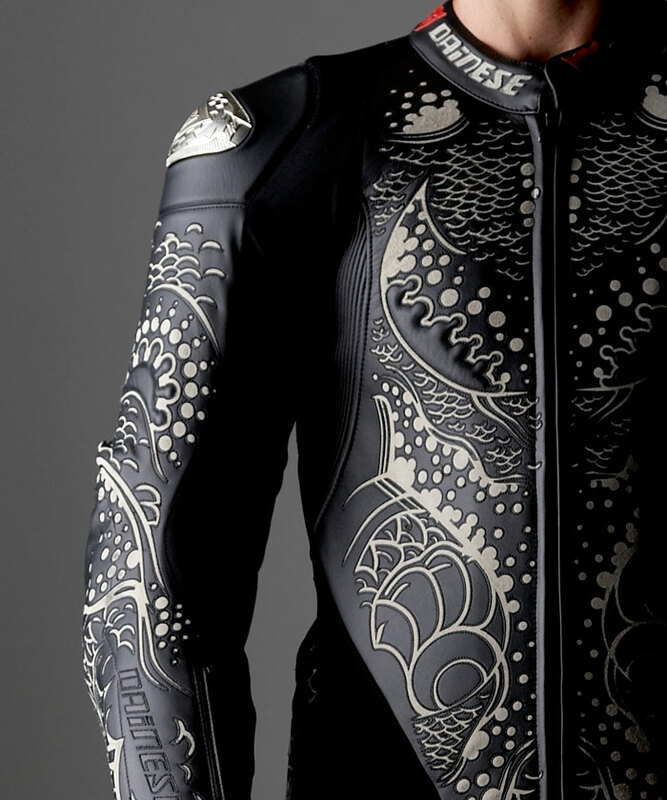 For the ultimate statement in fashion on the raceway, the Dainese tattoo suit famously comes to mind, a design created by Australian artist, Luca Ionesco. It is made with a layer of kangaroo skin and Lorica leather using advanced laser technology. In some areas the Lorica is stripped away, creating the tattoo effect where you can see the kangaroo skin peeping from underneath. 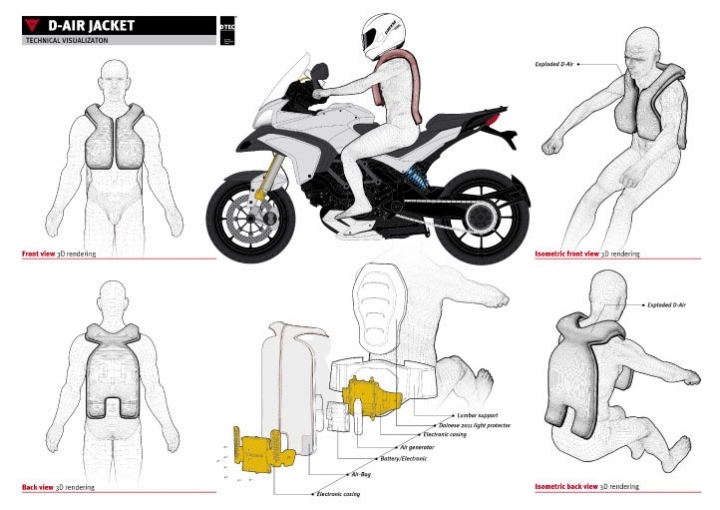 Designers put a great deal of effort into their research of these state of the art suits, having the double task of incorporating style, comfort and safety, testing and re-testing their creations against the physics of motorcycle riding. 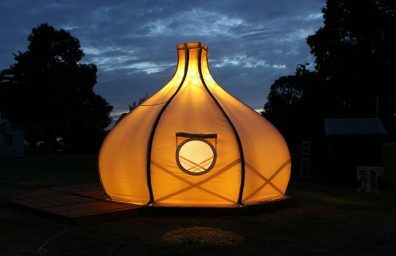 Scientists with an eye for stylish flair is the key to producing a top product chosen by the professionals in this business. 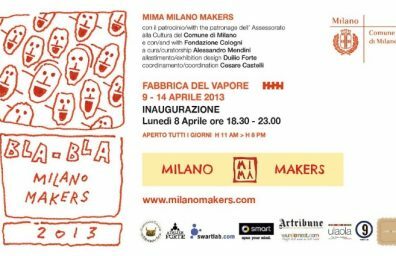 Il Made in Italy di Milano Bedding a imm Cologne 2016.